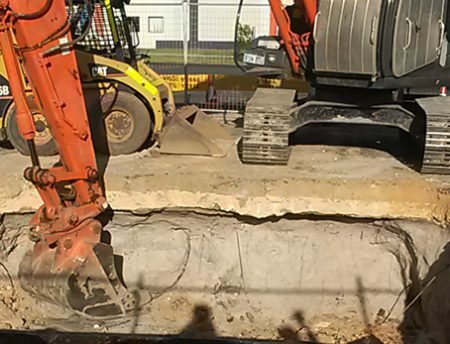 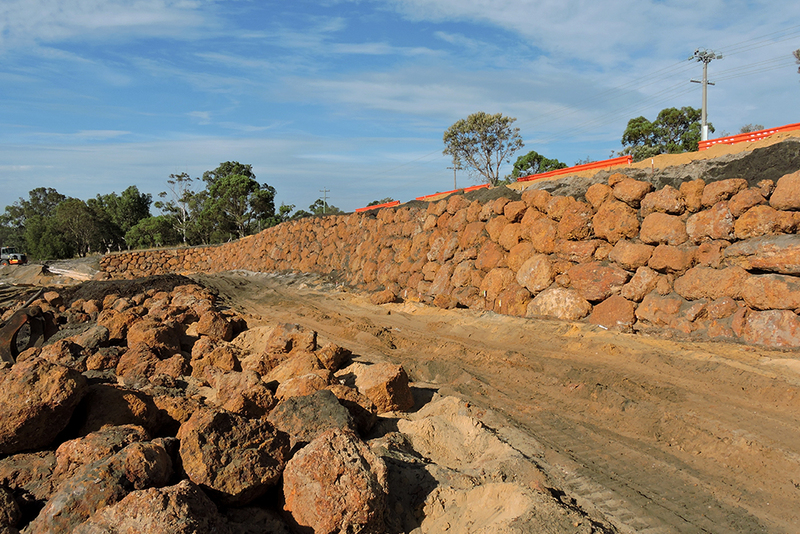 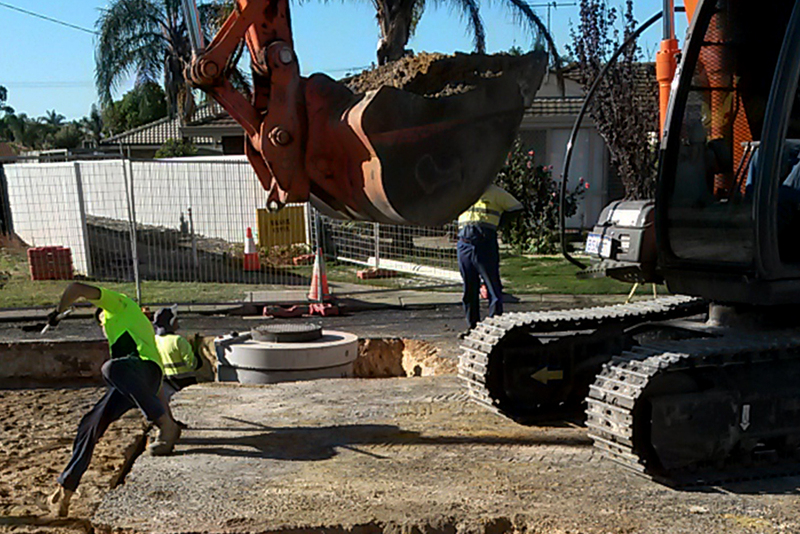 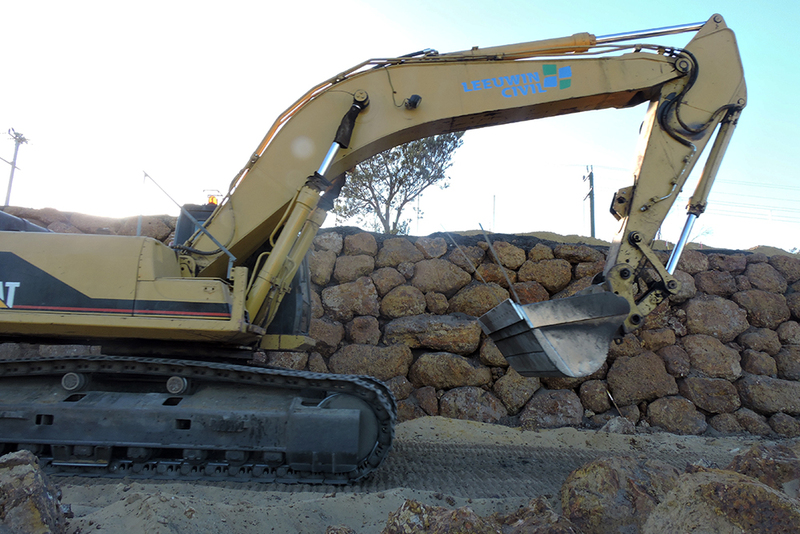 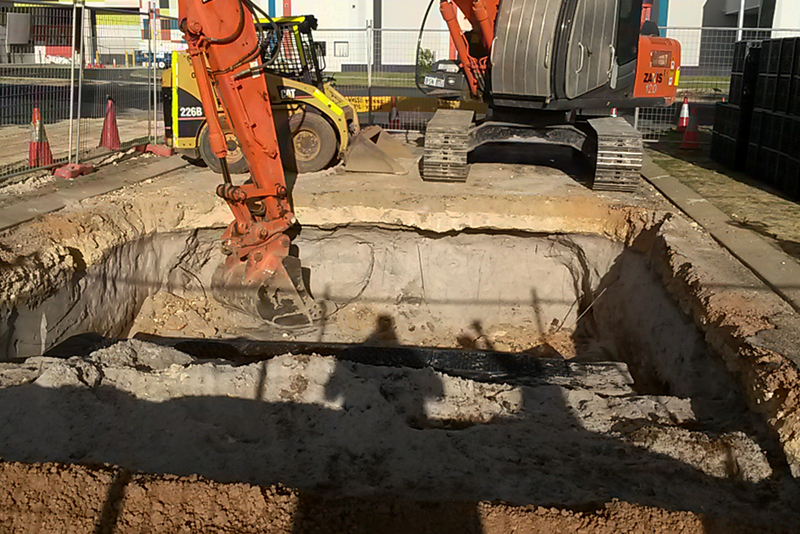 Leeuwin Civil were contracted to supply and install 110m of 450mm diameter, class 4 RCP pipe, in addition to two modular HDPE stormwater retention tanks for a total retention volume of 155 cubic metres, to increase capacity for stormwater drainage at Eaton Drive. 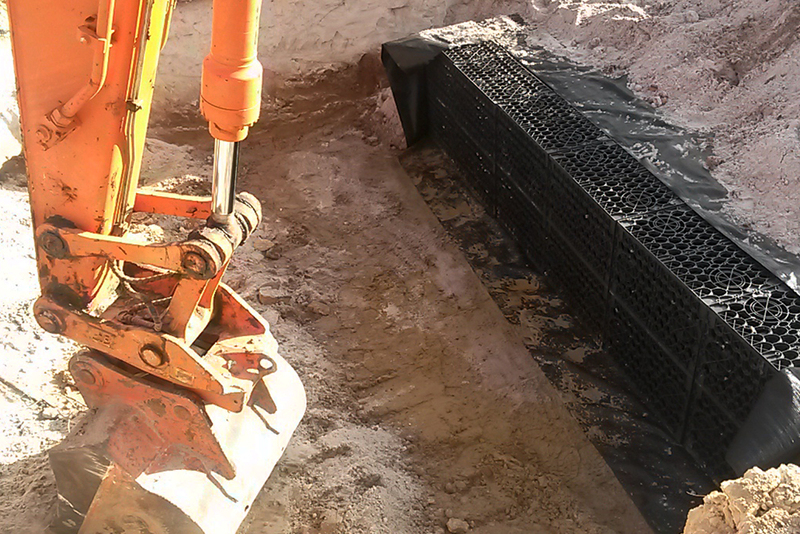 The retention tanks were to be installed within the bowl of an existing residential cul-desac. 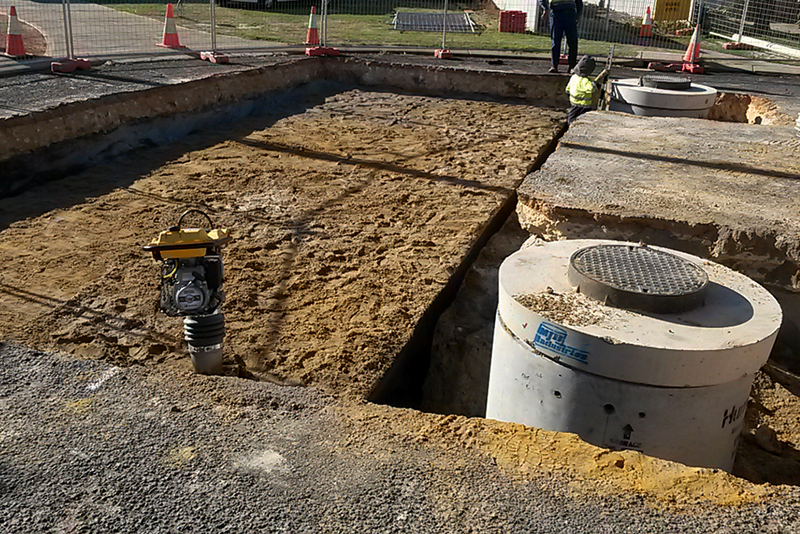 Works therefore had to be completed whilst maintaining 24/7 access for property owners to their homes. 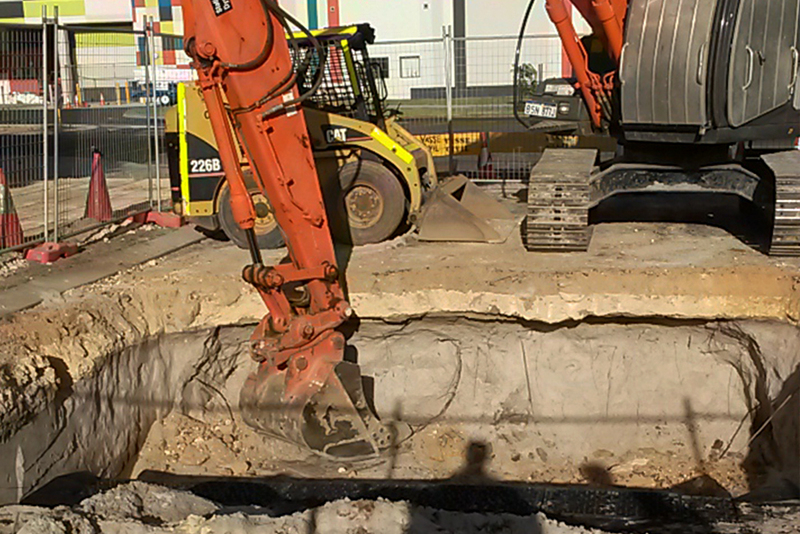 To allow 24/7 access works were completed in half-segments to ensure one lane was open to residents at all times. 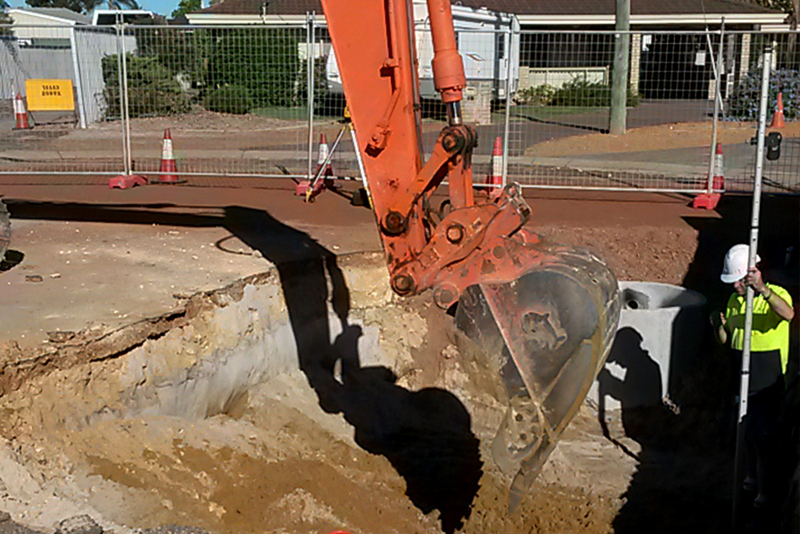 Works also required reinstatement of the whole cul-de-sac to pre-existing conditions.